What are brand voice and tone of voice? Brand voice is that peculiar quality that means the audience can read a couple of sentences of copy and instinctively know which brand it comes from. One of the most easily recognisable is Innocent’s simple yet quirky brand voice. Where does brand voice come from? Brand voice is based on a brand’s core values or personality traits. For example, a brand can be active, crazy and unpredictable – like Red Bull. Or it can be responsible, reliable and ethical – like the Co-operative Bank. These traits are part of the brand’s fundamental make up. They can evolve, but only very slowly. So a brand’s voice changes very little. Brand voice is one way of expressing what is different and relevant about your brand – just as you do through your logo and photography style. The more distinctive you make yourself the better. When you examine your logo against those of your immediate competitors, it should stand out. It’s the same with your brand voice. Try looking at the text on your About us page and comparing it with the way competitors sound on theirs. 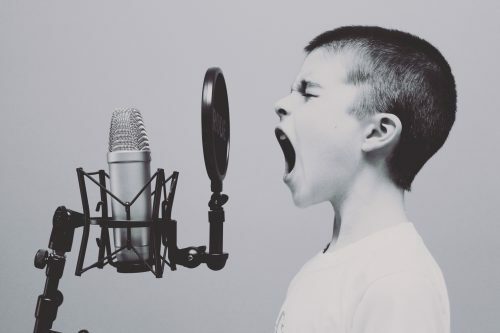 Whatever you’re writing about, whoever it’s for and whether it’s a page on your website, a brochure or a presentation, your brand voice needs to come across loud and clear. where a link on your website doesn’t work you can afford to make a joke of it whereas if you have a safety issue with a product, your tone will be more serious. Your tone of voice will change, but you will still sound like you.